Reed MIDEM has announced that Alexandre Deniot is joining the company as the new Director of Midem, the leading industry event for the international music ecosystem which will take place in Cannes, June 6-9 2017. 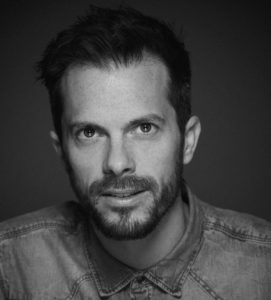 Deniot comes to MIDEM with over 15 years of experience in the music business, mainly at Universal Music Group where he was most recently Business Development Director for UMG’s Paris-based digital division. “Alexandre’s career has seen him acquire expertise that include team management, business development, multi-channel, international sales, strategy planning and implementation, e-business and digital media. These skills will be of particular importance as we move to develop Midem,” said Jérôme Delhaye, Director of Reed MIDEM’s Entertainment Division. “His arrival confirms Reed MIDEM’s commitment to growing Midem and serving the various stakeholders within the music ecosystem”. Alexandre Deniot started his career in 2001 as part of Sony Music Entertainment’s sales marketing team in Lyon, France. He joined Universal Music Group in 2002 as Regional Sales Manager for eastern France then southern France before being promoted to Key Account Manager (Physical Sales) in 2006 and Key Account Manager (Digital Sales) in 2009. Five years later he was named Head of Business Development at Universal Music Group’s digital division, managing Universal Music On Line, a specialist digital subsidiary of Universal Music. In January 2016 he took on the Business Development Director within the digital division in Paris.